The statement didn’t come as a surprise to anyone. Pochettino had long been linked to a potential United job. Sky Sports analyst and former United defender Gary Neville called him a “perfect fit” for United, due to Pochettino sharing the same values as United. He plays attacking football, he develops young players, he carries himself in a professional manner. Many of the fans agreed. 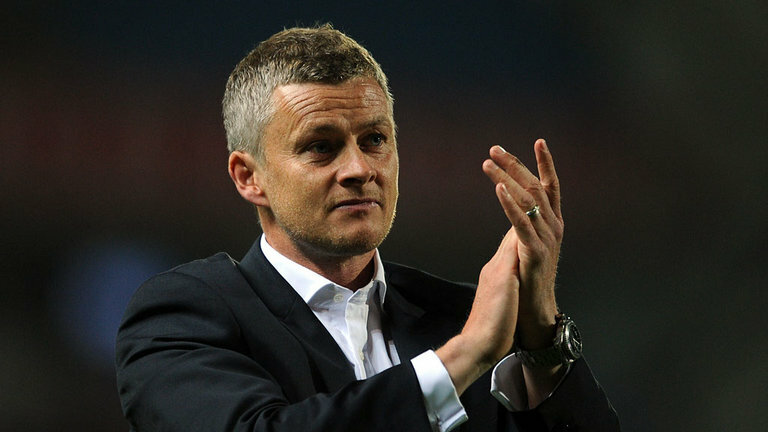 The club had just announced that former striker Ole Gunnar Solskjaer would see out the season as the caretaker manager, then he’d return to his current job as the boss of Molde. Back in December, this wasn’t even a question. Solskjaer’s managerial experience amounted to a stint with Manchester United’s reserves, leading Cardiff City to relegation, and now being in charge of tiny Norwegian club Molde. His job was simply to improve the mood around the club, make the players happy again, and let them play. When the season ended, United would move heaven and earth to pry Pochettino out of North London. It’s funny how much can change in just two months. With Solskjaer removing Mourinho’s defensive shackles and letting United just play, the team won three games in his first eight days, with scorelines of 5-1, 3-1, and 4-1. The turn of the year saw them grab consecutive 2-0 victories leading them to a massive clash with Tottenham and Mauricio Pochettino. Obviously the Solskjaer-Pochettino storyline dominated the buildup to this match. Given his first five matches were against the likes of Cardiff, Huddersfield, Bournemouth, Newcastle, and Reading, this was going to be Solskjaer’s first real test. Despite making up the eight point deficit on fifth place Arsenal in just over a week, Pochettino was still probably the better choice for a permanent manager. United won the match 1-0, with a brilliant tactical display in the first half, and a holding-on-for-dear-life-while-David de Gea-bails-us-out-in-the-second-half performance. Over the next two weeks, Tottenham crashed out of both the Carabao Cup and the FA Cup. Pochettino’s detractors spoke about how he never wins trophies and Pochettino spoke about how finishing in the top four was more important for Tottenham, a statement that did not help matters. But one game does not make a better manager and one bad week does not make them worse. At the end of the United match, Pochettino lost his talisman Harry Kane. A week later against Fulham, he lost his season MVP Dele Alli. Tottenham’s two most important players, gone for six weeks. Just like that, Tottenham’s season was on the brink of turning into a disaster. Since Kane’s injury, Tottenham have played four league matches. They’ve taken all three points in each one. Last week they welcomed Borussia Dortmund to Wembley and nearly settled the tie with a 3-0 win in the first leg. They’ve done it all without Kane and Dele, and it’s all a testament to the brilliance of Pochettino. Over the past five years, there hasn’t been a better more consistent manager in England than Pochettino. He’s done more with less than any of the men who have managed top six clubs during his tenure. But that doesn’t mean it’d be unfair to ask questions as to whether he can do this with Manchester United. Part of Pochettino’s brilliance has been his ability to build a team. Nearly all of Spurs’ first team either weren’t at the club when Pochettino arrived, or weren’t getting first team minutes. The system Pochettino plays involves a lot of running, and thus involves a big commitment from players to buy in. If one player isn’t running it, the entire system doesn’t work. That commitment is easy to get from players who are trying to get to the next level. It is completely fair to wonder whether Pochettino can take that system to Old Trafford and get the same commitment. Paul Pogba is already one of the best midfielders in the world, would he respond to being told he needs to increase his work rate even more? What about Anthony Martial? Yes, Pochettino deals with stars at Tottenham like Kane and Dele, but those players weren’t stars when they started working with him, they became stars under his watch. There’s a difference and that difference matters. By that same token, Solskjaer managed Paul Pogba and Jesse Lingard when they were in the reserves. He already knows those players, and knows how to get the best of them, and the nine goals, six assists Pogba has picked up in just 12 games under Solskjaer proves that. After a month, the questions around Solskjaer were about whether he had the tactical acumen to be a good manager. His attitude was exceptional and his management was impeccable, but you can’t just let the players “go play” every game. The team still has some major flaws and good teams would figure that out. In two months, Solskjaer has answered those questions. He put on a tactical masterpiece against Arsenal to get a 3-1 win at the Emirates. With Lingard and Martial unavailable and Juan Mata severely underperforming, he used the Spaniard brilliantly to get a 2-0 win against Chelsea at Stamford Bridge. It’s the first time United have won at Chelsea, Arsenal, and Tottenham in the same season since 1984/85, something Sir Alex Ferguson’s couldn’t do! It’s true, United haven’t looked dominant in all their matches. Their demise in the second half against Tottenham was expected. Under Mourinho they were the laziest team in the league, with the fewest sprints per 90 minutes. They were out of shape, and Solskjaer was now asking them to do a lot of running. It takes more than three weeks to get into that kind of shape, and dealing with fixture congestion of the festive period and the heavy pitch at Wembley certainly wasn’t going to help. Solskjaer’s only blemish has been a 2-0 loss in the Champions League to PSG. A match where United were the more dangerous side until injuries forced Lingard and Martial off. With United’s front three unable to press, PSG fearlessly pushed forward to take over the game. Ole had a tactical plan, but it went out the window with the injuries. Ole Gunnar Solskjaer is the type of manager Manchester United should be looking for. He understands the club. He cares about the club’s success more than his own. He has the man management skills to manage a large squad, and the tactical acumen to adapt to different matches. That doesn’t necessarily make him a better manager than Mauricio Pochettino, but it does make him a better fit for this particular job.